Give something really precious to your loved ones. Kitco offers many unique silver gift ideas and a selection of gifts in gold. Our selection of precious metal gift ideas includes colored silver coins, unique silver rounds, and even a bull and bear silver statue, all designed to impress your family, friends, and loved ones. We also carry an exclusive selection of great gold gifts, including gold collectible coins and unique gold jewelry items such as our gold nugget pendant and matching gold nugget earrings. 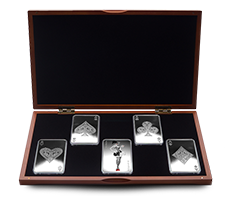 Come see our unique silver bullion bars, colored silver coins, silver poker chips set, silver bull and bear statue, silver dominoes, and other unique silver gifts. Check out our unique gold gift inventory complete with collectible gold coins, gold Krugerrand watch, gold nugget pendant , gold earrings, and other unique gold gift ideas. Gold and Silver gifts are unique for many occasions. 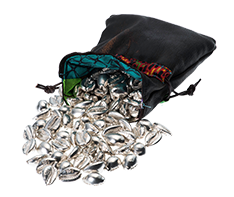 Presents of gold and silver can be for children, grandchildren, Mother's day, Valentine's day, or even as corporate gifts for the office. Bullion is the gift of wealth and permanence - a gift to be appreciated and that may also appreciate in time. Silver and gold gifts will be remembered and cherished long after plastic and digital presents are forgotten. Presents of gold and silver are perfect options for your office gifts, whether for employee Christmas gifts, to celebrate a corporate achievement or milestone, or simply as a present for a top employee. Why buy bullion gifts from Kitco Metals? Kitco offers many unique gold presents and silver gift ideas. A gift of gold or silver always has value, whether for a special occasion, for an annual gift, or even for a once-a-year tax strategy. If you are considering gifts of gold or silver as bullion or in larger amounts, you can learn more about the spot price of gold, and the market for gold and silver on our award-winning news website. 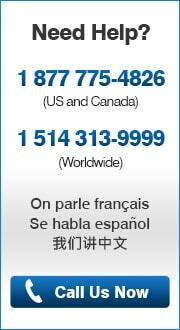 Or browse our Gold Coins, Silver Coins, and Gold Bars. 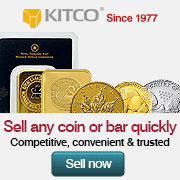 Established in 1977, Kitco is the world’s #1 Gold News website and a trusted online silver and gold bullion dealer.